I have to apologize for the later than usual post: I’ve been a bit under the weather the past couple of days, so I’ve kept my DayQuil close. A bit of a case of the foggy brains has plagued me today. But how cute is this guy? 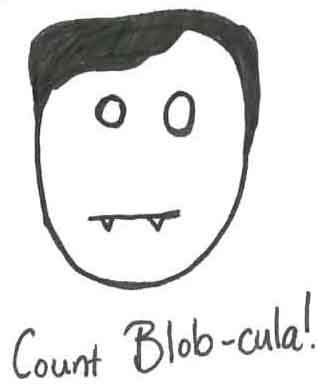 I posted him today because my roomie and I going to see Dracula this weekend for her birthday present. I’m pretty darn excited, as I love this show (and novel) oh so much. The Blob‘s little teeth were the best part to draw! Oh. And the hair. This entry was tagged DayQuil, Dracula, Halloween, Halloween costume, Holiday, United States, vampires. Bookmark the permalink.